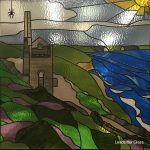 Photos of Bevelled glass windows and doors from around the world. 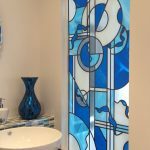 Our decorative studio did not create these actual glass panels but these photos may help you choose a design and style that is right for you. 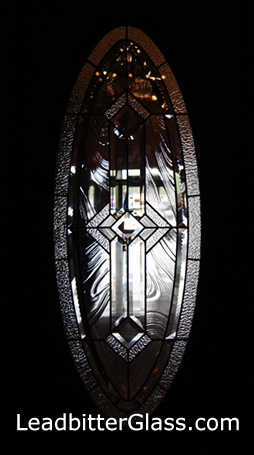 We can use these decorative glass patterns and styles to create a window or door that is perfect for you. 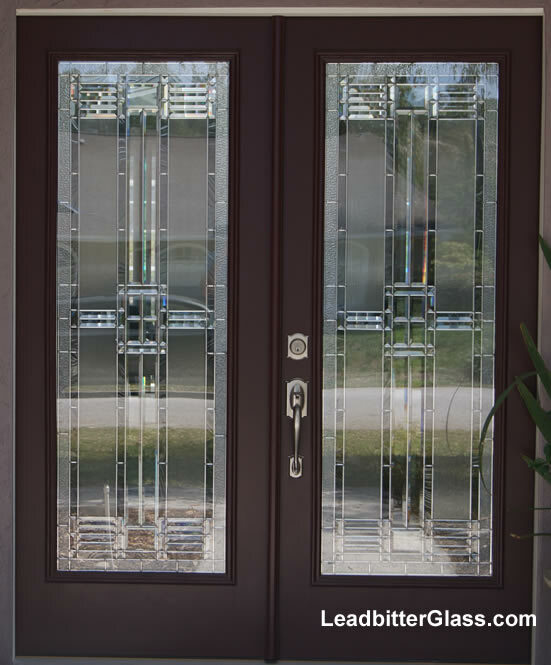 This bevelled glass door set was photographed in Florida and is a great example of the style of glass that is very popular with some of America’s most beautiful homes. 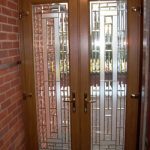 The door glass design is made using square bevels along with different size pencil (rectangle) bevels as the main features of the pattern. 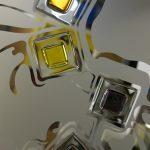 The rest of the glass has different textures applied so the privacy of the home is not compromised and the whole design is encapsulated inside of a triple glazed sealed unit. 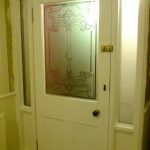 Leadbitter Glass can create this style of bevelled glass door panel for your home anywhere in the UK. 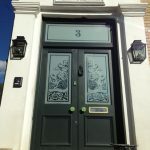 This beautiful bevelled glass door was created using multiple square and rectangle bevelled glass pieces covering the whole area of the door glass panel. 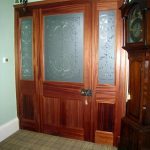 There are many square and rectangle bevel pieces to choose from and we would be able to create a design like this for any sized door entryway. 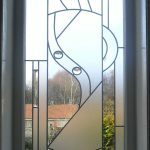 If you look close enough you will notice that the outer area of the glass has a coloured border to it and as with all orders placed with Leadbitter Glass, almost any colour can be ordered. 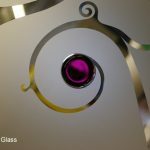 This oval shaped glass is created by combining bevelled glass clusters and border bevels with different textured areas of the glass. 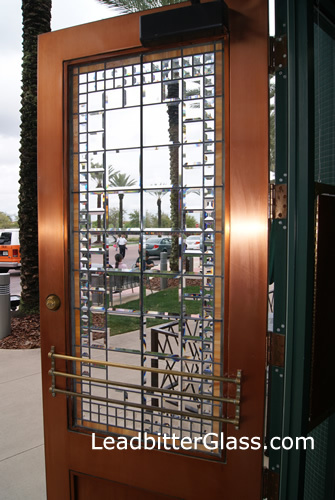 This door was photographed at a bowling alley and it was the door to a bar inside of the leisure centre. 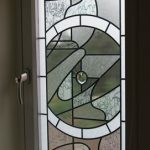 We can create any shaped glass for door panels and we can create similar styles of patterns to this door glass feature in your specific sizes.